Nature's Window Blanched Peanut Splits. This individual ingredient is for feeding done your way. 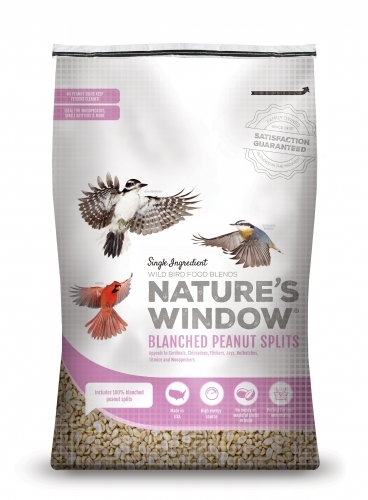 Blanced Peanut Splits can be offered by themselves or added to other blends to enhance their appeal for attracting specific types of birds.